I am so very excited to announce that my Holiday Pre-Ordere finally came. Seriously, though…I am so excited and I just can’t hide it… My Card was Picked by the Fab Friday Design Team as one of their Fab Fave!!!! This is a first for me and I am over the moon happy to have been picked. 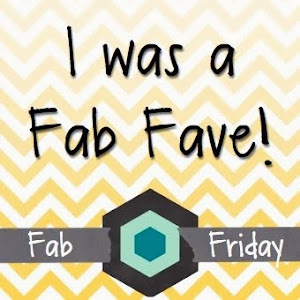 Check out the other Fab Fave cards at Fab Friday. The first of my Holiday Pre-Orders did come in yesterday. When I got home from work it was waiting for me!!! Yahoooo….So naturally, I had to make a card with my new goodies to share with you. What did I get you ask. Well, just a few things, including Dove of Peace. Mark your calendars September 1st is when the Holiday Catalog goes Live!!!! I am just overjoyed with the selection of products in the Holiday Catalog. So, I will have even more to share soon. Dove of Peace is a wonderful bohemian approach to the Christmas Season. After using this stamp, I know it will be in my Favorites for many years to come… I love how it stamps. I love the flower sketches with in the dove. I love the Bible Verse. I see using this stamp for more than just Christmas. The card base is Mint Macaron card stock cut at 5 1/2 inches and scored at 4 1/4 inches. Cut a layer from Shimmery White (I only recently discovered the wonderful joy of having this fine paper in my arsenal of supplies…AKA it’s a new favorite and I use it every day now!!!!) to 5 1/4 inches by 4 inches. Use sponge dabbers , ink , and a little water to color the Shimmery White card stock. I used Soft Sky and Mint Macaron. Start at the top with Soft Sky and work towards the bottom. Add Mint Macaron from the bottom and work towards the top! Allow this layer to dry! I know it is hard to do…Go do something else and come back. Or make your other layers of the card while you wait. Check and see if you like. I added several layers. So this may take a few times to get desired darkness. When the Shimmery White layer is dry Use the Softly Falling Textured Impression Embossing Folder and the Big Shot to Emboss the layer. Adhere the “watercolor” layer to the Daffodil Delight layer using multipurpose glue. Cut a Soft Sky card stock piece to 3 1/4 inches by 1 1/4 inches. Glue the yellow layer to the Soft Sky layer. Stamp the Dove using Staz On ink. Color in the dove using Daffodil Delight, Soft Sky, and Mint Macaron. Use Stampin’ Dimentionals to adhere the sentiment and the dove to the card base. I hope you are getting as excited as I am for the Holiday Catalog. September 1st. is the Big Day! The Holiday Catalog goes Live!!!! Just a little bit of the Creative Process…Nothing like getting messy! Please feel free to contact me with any questions about today’s blog post, Stampin’ Up!, or stamping in general. I am here for you. Just use the form below. Here is the supply list for today’s card: The stamp set Dove of Peace or the Softly Falling Textured Impressions Embossing Folder are not listed in the supply list because they will not be available until September 1st. Remember to check out this weeks weekly deals…..
My Paper Pumpkin is still on sale!! It is a great time to Save.